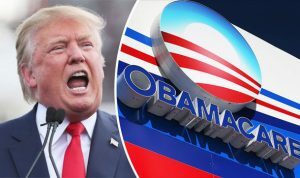 Donald Trump vs Obamacare, What's the Difference? You are here: Home / Money / Business / Donald Trump vs Obamacare, What’s the Difference? Donald Trump vs Obamacare, What’s the Difference? (ThyBlackMan.com) The media’s “President Donald Trump is a congenital liar” narrative reeks of rampant hypocrisy to those who repeatedly complained while the same media gave President Barack Obama pass after pass for eight years. Obama wanted to become a “transformational” president. He succeeded, thanks in large part to a fawning, compliant media that mostly supported Obama’s policies and ignored the falsehoods he used to pursue them.